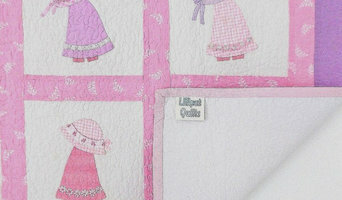 A small company making handmade patchwork quilts, wall hangings and scatter cushions. We offer you high quality & innovative bathroom and shower drainage solutions such as stainless steel linear shower drains or cementous glue underfloor shower trays. Our greatest asset is price/quality ratio. You will not find as good as our products at even close price. Alpaca Comfort make the finest quality duvets and pillows in natural fibres so that your customer can sleep deeply and wake feeling refreshed and ready to start the day. Created in organic premium wool or alpaca fleece, our duvet fills are sourced entirely from within the UK. We pride ourselves on the sustainability of our products. Your duvet is manufactured and hand-finished at our mill in Hebden Bridge, in the south Pennines – the heart of the British textile industry. It has pedigree and, what’s more, it has full traceability. We case our duvets in 220TC certified organic ecru cotton, with an option for optical white cotton, if you prefer. When they eventually come to the end of their life-span, our duvets are fully biodegradable. We started out as an alpaca farm, leading the British Alpaca Society for many years. Alpaca Comfort has been a natural development. The alpaca fleece we use for our bedding is sourced entirely from farms and alpaca owners in the UK. As British Alpaca Fleece Buyers, we are the largest buyer of alpaca fibre in the UK. All in all, we believe we can fairly say we are experts in our field. We also believe it is fair to say that we can craft your duvets and pillows to the highest quality, with ethical credentials that will leave your customers sleeping easy at night. hi were an online company selling house hold items with every thing from shabby to minimal,chairs to animal heads door stops to occasional chairs. Yorkshire Glazing has been fabricating and installating uPVC double glazing since 2001. Over last 5 years Yorkshire Glazing has been a market leader in triple glazIng. At Yorkshire Glazing all product range carries a 10 Year Comprehensive Guarantee. Installations are carried out through our fully qualified fitters. All work is done to building regulations. Professionals from Leeds, West Yorkshire bathroom showrooms and bathroom suppliers will be able to advise you on the best sort of materials to go for with your bed and bath textiles. If you want softer than soft, go for high thread count cotton, like Egyptian cotton, or instead the gentle jersey cotton, but if you are after crisp and clean lines, white linen is the way to go. Bathroom suppliers in Leeds, West Yorkshire will be able to offer a range of unique linen colours and patterns that high street stores won’t be able to offer, so you’re sure to find bed linen to fit with the colour scheme and style of your room. You don’t have to stick to updating just your towels in the bathroom. With Houzz you can find bathroom accessory retailers, bathroom suppliers or boutique bathroom showrooms in Leeds, West Yorkshire that will stock all sorts of accessories, storage items and other soft furnishings for the bathroom. You may be able to find a professional that can help you design or install stylish bathroom storage solutions to make the most of a smaller bathroom. Here are some related professionals and vendors to complement the work of bedding, towels & bathroom accessories: Home Stagers, Kitchen & Bathroom Designers, Interior Designers, Furniture & Home Accessories. Find Bedding, Towel and Bathroom Accessories Professionals on Houzz. You can narrow down your search for Leeds, West Yorkshire textile designers, bathroom showrooms and bathroom suppliers by choosing bedroom or bathroom accessories supplier in the Find a Pro section and searching for your area. Find the most reviewed bed linen and towel manufacturers and check out photos for ideas.